Our DEODORANT is an oil-based product that is long-lasting. 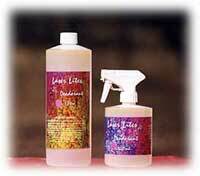 Spray onto dog or bedding for a pleasant fragrance. Available in floral, citrus, lavender, coconut, citronella or vanilla.